My parents have had three rotten bananas in their freezer for ages. My mother refuses to throw them away (and props to her, I hate waste! ), but doesn’t often bake with bananas herself, so I figured I’d take matters into my own hands. 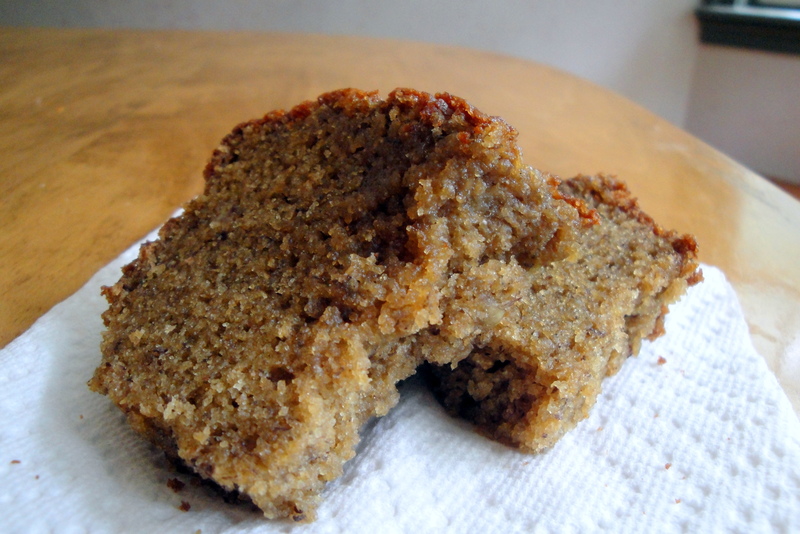 I typically make the Flour Bakery recipe for banana bread, which is absolutely fantastic, but since I’ve already written about that recipe on this blog, I decided to try something new. So I looked at a few recipes for inspiration, and made me own creation! This bread was a total shot in the dark, but it came out incredibly well. I was so proud of myself! 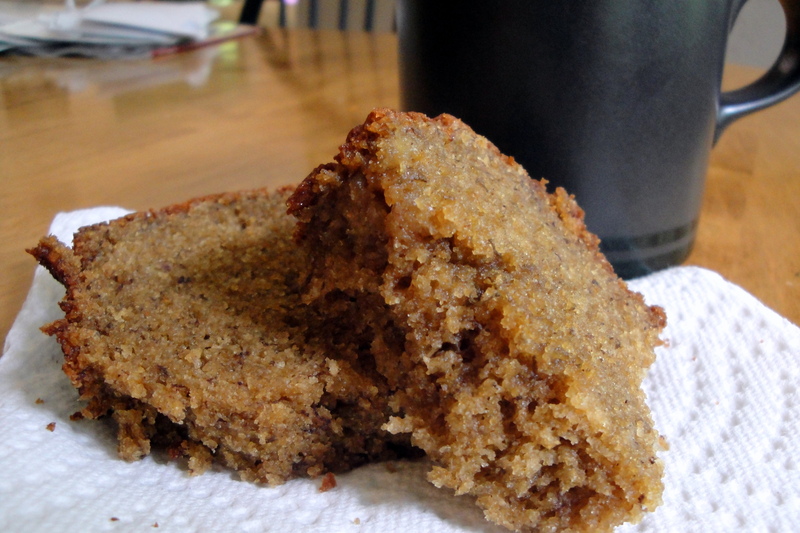 It was extremely dense and rich, and so so good — we all had two slices EACH for breakfast! In fact, the loaf is about 3/4 gone… and there are only four of us in this family. But really, it was such a great experiment. The espresso makes a huge difference, adding a depth of flavor that you can’t get without it. It had a slightly nutty flavor from the white whole wheat flour, but it’s all we had in the house, and I’d say it made the bread even better. I’m keeping this recipe for the future! I think if I made any changes, I’d take out a little bit of the oil — it certainly doesn’t have too much, but it does have a long baking time and I think that’s partly due to all of the moisture in the recipe. Other changes could include all-purpose flour (which might give it a slightly less nutty flavor), and the addition of walnuts and/or chocolate chips. Yum! 1) Preheat oven to 350 degrees. In a large bowl, mash the ripe bananas. Add the eggs and greek yogurt, whisk to blend. Next add the espresso, oil and vanilla, and stir to incorporate. 2) Add the sugar, cinnamon, salt and baking soda, and stir until completely incorporated. Sift the flour into the wet mixture, folding gently until the flour is incorporated and you can no longer see pockets of flour in the batter. With love, and sugar. Enjoy!